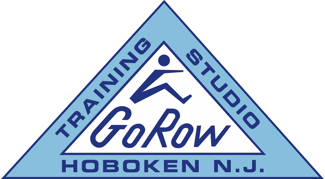 Start taking classes at GoRow and other studios! Class is geared toward people who have never taken, nor tried an indoor rowing machine. The weight training segment of the class is also greared toward novice exercisers who might have "special considerations" (i.e. chronic lower back pain, or other orthopedic issues, and high blood pressure, etc). There are no upcoming “Rock'n & Row'n!” classes on this day. Comfortable workout attire and sneakers. above the Hoboken Beer Garden. Code to get in front door is 9191. 237 ratings for Rock'n & Row'n! Garrett is a great instructor! What an amazing full body class! Instructor was so informative and helpful too! Will definitely be back. Amazing workout!! The instructor gave personalized attention to each person so no matter the level it was an ideal workout for you. 100% would recommend! Garrett had incredible energy!! Tough workout, but he spent lots of time with those of us who were taking class for the first time. Full body - and it flew by! Superb instructor, great music, &amp; an overall amazing workoutthat you will certainly feel the next day!!! No pain, no gain! Highly recommend this class. Loved this class! Great energy and an awesome workout! Instructor was extremely thorough and inviting!